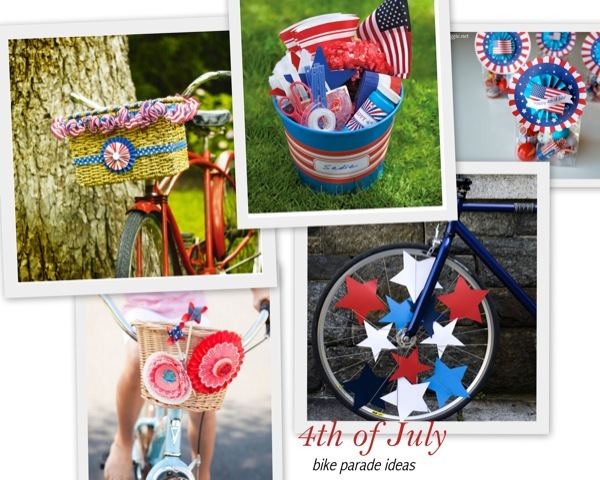 We’ve rounded up a bunch of bike parade ideas for the 4th of July. 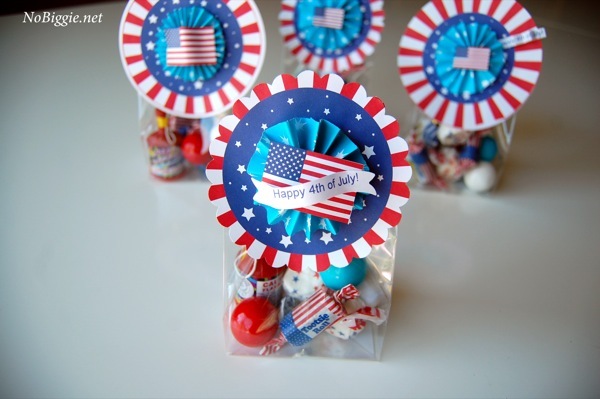 It’s such a fun way for the kids to get in a patriotic spirit. Growing up, one of my favorite things about the 4th of July was our neighborhood kid’s bike parade. I loved waking up early on the morning of the 4th for the bike parade, which was followed by a big neighborhood breakfast. Our current neighborhood also does a kid bike parade, and I LOVE that my kids get to enjoy this fun tradition just like I did. Our new neighborhood does the bike parade in the evening with a neighborhood BBQ dinner followed by fireworks. It’s such a fun tradition. 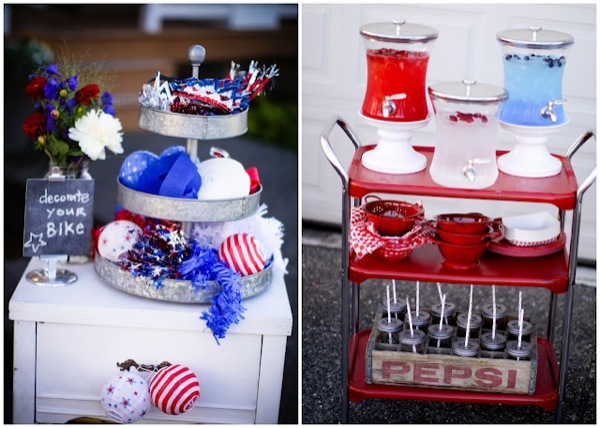 Make a decorating station for friends to decorate their bikes plus more fun 4th of July ideas via Jenny Cookies. I love how they labeled the station with a little chalkboard sign. Make festive flowers out of simple cupcake wrappers via One Charming Party. 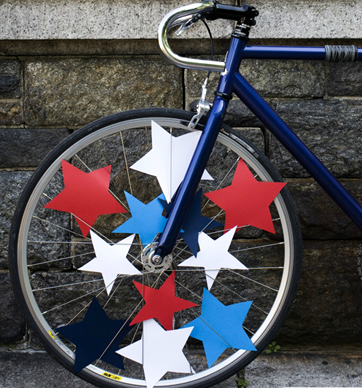 Using simple pennant flags decorate the wheels of your bike. -via pixie this blog. Send out a fun invite for your party via Pop Printables. 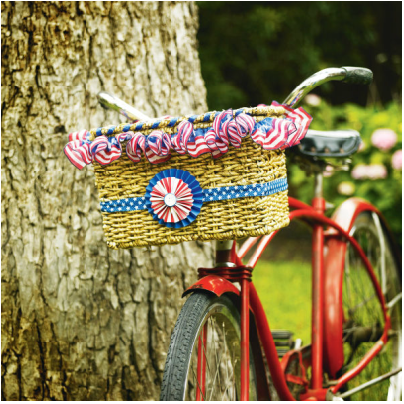 Here’s a fun way to decorate the basket on your bike via Michaels. 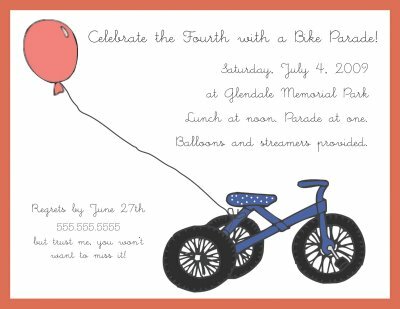 Here’s another simple invite for the bike parade, or even just for the decorating party before. via Pumpkin Petunia. I LOVE these big stars in solid colors all over the wheels via Holidash. 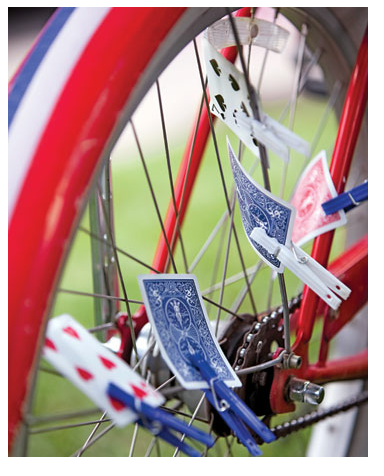 How fun are these playing cards to make some noise when the bikes parade around via Martha Stewart?! 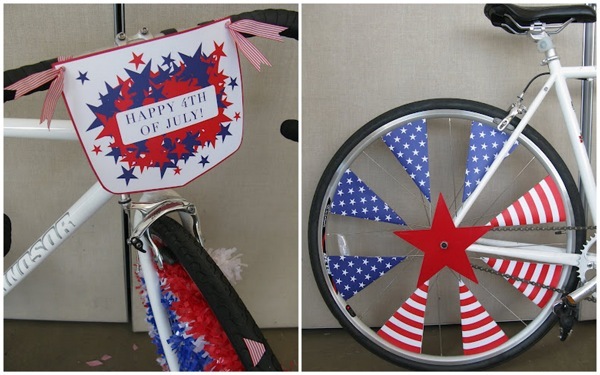 There’s a bunch of more fun ideas for bike decorating shared there too. 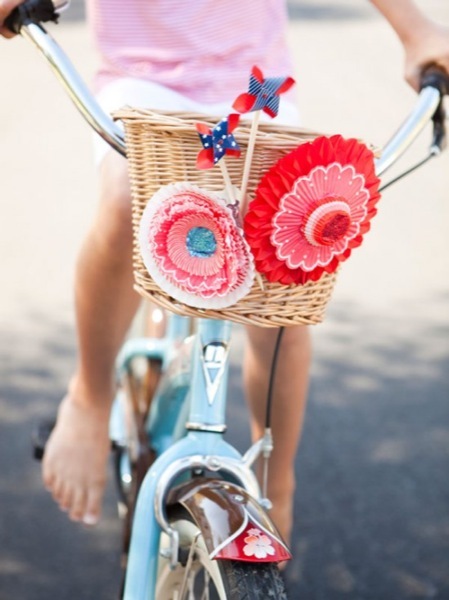 Here’s a cute idea for making your own firecracker via Real Simple with a bunch of more bike parade ideas. 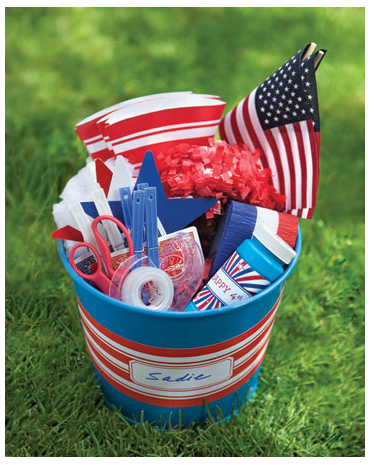 I love this simple bucket packed with everything you would need to get festive for the parade via Martha Stewart. And lastly…send the kids off with a little treat topped with this free printable treat bag topper that I shared last year. 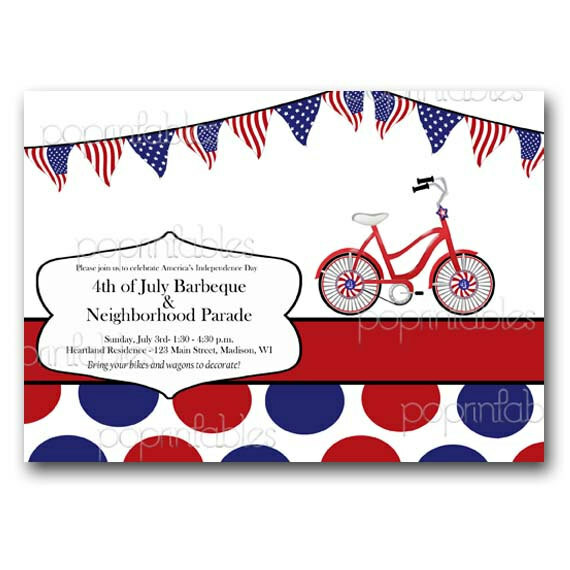 Do have a tradition of having a bike parade for the 4th of July where you live? If not, you should start one! 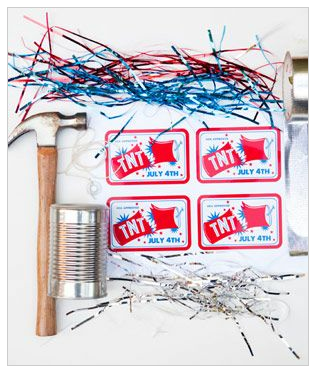 Doesn’t this make you excited for the 4th of July?! Darling! LOVE the cupcake wrapper idea. Thanks for the ideas. I love our neighborhood. I’m glad we do bike parades for the kids. I’m sure your neighborhood bike parade is wonderful, but nothing can top, Don Allen leading the parade and breakfast in Watermill Circle! Miss you!…thanks for the fun memories! Agreed! Best memories! Thanks Rachael! This is a great idea for a Cub Scout pack meeting too- Thanks! Man! I saw this too late 🙁 Next year! so fun! i love all your 4th of july posts. your neighborhood seems like so much fun. we are in the process of house hunting and it’s so hard to know those little things, like how fun a neighborhood is when you really are looking at the house in the beginning. i also love all your bike decorating ideas. so cute!